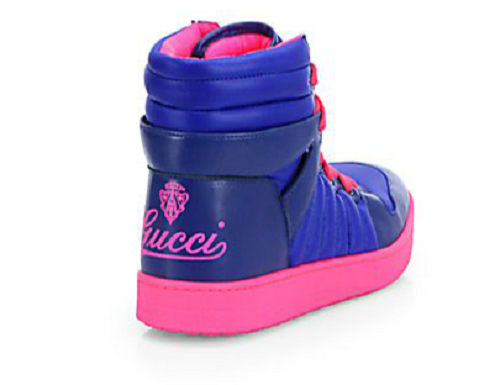 I am obsessed with these Gucci Hudson High-Top Sneakers. The bright color along is an eye-catcher and neck-breaker! These navy/pink sneakers are from the fashion house Spring/Summer 2013 collection and feature a leather trim, metallic Gucci trademark on the back, rubber sole and pink laces. You can purchase them at Saks. 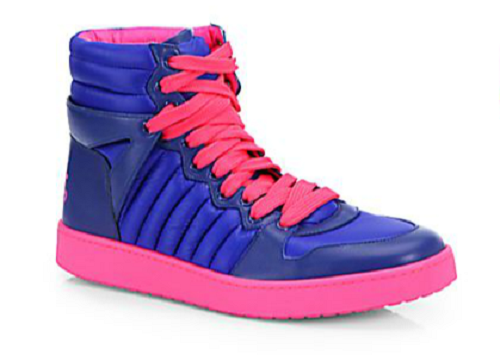 I will pair these sneakers with navy drawstring sweatpants from Zara or Balmain biker jeans and a pink tee-shirt. Are you feeling these sneakers and how would you wear them?